Travelling to or from Latvia? My Baggage can help you with your luggage. 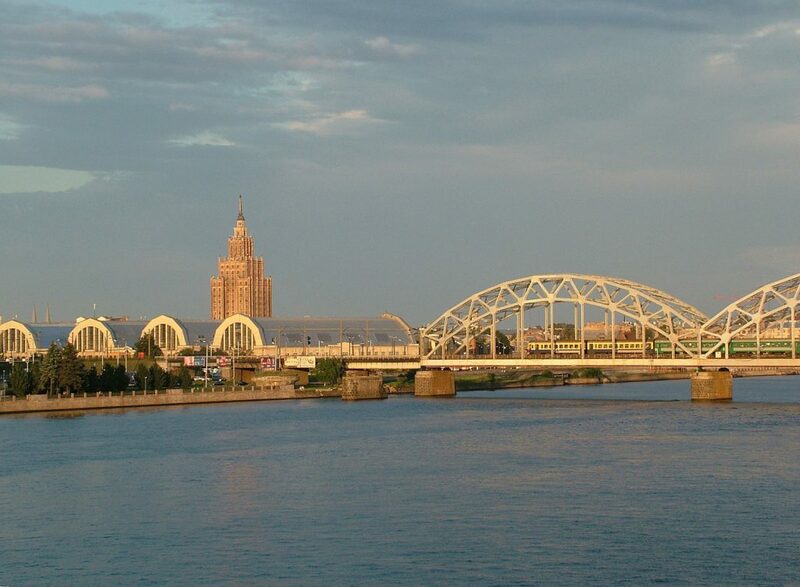 With My Baggage, you can transport luggage to Latvia quickly, conveniently and at a low cost. We provide a door to door collection and delivery service, with full online tracking available every step of the way and dedicated customer support to assist. Latvia is situated on the Baltic Sea, between Lithuania and Estonia. Its landscape is defined by wide beaches, as well as dense, sprawling forests. It is a relatively small country, with a population of just under 2 million. When travelling overseas, many of us opt for booking additional luggage on our flight in order to bring all of our personal belongings with us. Some might even opt for hiring an international removals company if relocating. However, these options often have significant costs involved, and may not be suitable for everyone’s circumstances. That’s why My Baggage offers an alternative. My Baggage is a door to door luggage shipping company. When you book with us, you can transport your luggage anywhere in the world for fantastic low costs, and wave goodbye to pesky excess baggage fees. Find out more about transporting your luggage to Latvia with us and how it works. The My Baggage service is designed with convenience in mind. We want to make it as easy as possible for you to transport your luggage from A to B. With us, you can arrange your shipment from the comfort of your own home. Once you’ve booked, we’ll collect your items straight from your front door and deliver them straight to their destination in Latvia. At My Baggage, we make it our number one aim to provide a service you know you can trust every single time. 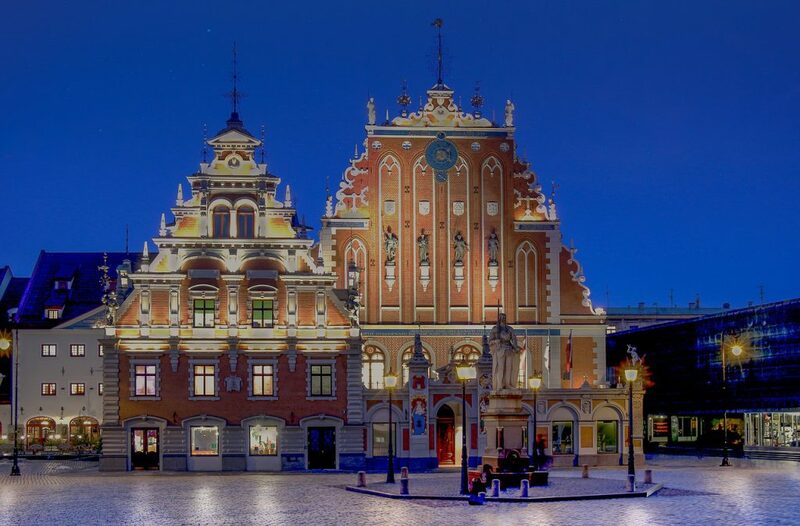 From the moment you place your booking with us, until the very moment it arrives at its destination in Latvia, we will keep you in the know. We provide full online tracking as well as give you the option to opt-in for SMS and email notifications to stay up to date on the go. My Baggage’s door to door luggage shipping services are open to everyone! Whether you are a one-time user, an expat, a student, or even moving house. No matter your reason, you can take advantage of our competitive prices and excellent door to door shipping services. My Baggage specialises in worldwide door to door luggage shipping, however, that’s not all we can do. With My Baggage, you have the option to ship items that are typically regarded as oversized, such as sporting equipment and musical instruments, which tend to come at a hefty additional cost when you try to carry them with you on your flight. With My Baggage, you can send thoughtful gifts and care-packages to your loved ones living overseas. Before proceeding with your booking, be sure to do some research into Latvian customs, particularly when it comes to sending gifts. Make sure to invest in a new, sturdy, double-walled cardboard box and cushion items with plenty of internal packaging, so as to avoid any damage occurring whilst in transit. If you’re worried your luggage might be too heavy to carry with you on your flight, you can transport it to Latvia with My Baggage and avoid pesky excess baggage fees. Using My Baggage means you can bring your luggage to Latvia at a low cost, without having to worry about hauling heavy bags with you whilst travelling. There is truly an abundance of outdoor activities to enjoy in Latvia, such as cycling, and even skiing. Perhaps not one of the most well-known destinations for ski holidays, Latvia is actually home to several resorts. If you hope to partake in sports during your time in Latvia and want to bring your own equipment along, My Baggage can help you. With My Baggage, you can transport large items, such as skis and bicycles, easily to Latvia, erasing the worry of needing to rent equipment when you get there. Or worse, having to pay extortionate oversized or overweight baggage fees on your flight. You may wish to bring your musical instrument with you to Latvia, however, depending on its size, in order to do so, many airlines may require you to book an additional seat on the plane. With My Baggage, you can avoid pay additional, substantial costs with your airline by transporting your instrument with us. Spend some time researching Latvian customs regulations. When shipping your personal effects to Latvia from a country that is within the EU, it will not pass through customs clearance and is not subject to import tax or duty. However, when shipping to Latvia from a country outside of the EU, you are legally required to complete and send a customs declaration with your shipment. If your shipment does not have a customs invoice attached, it will not make it past your local country border, and you may have to pay return charges to get it back. My Baggage will automatically provide you with the appropriate customs paperwork for you to complete and attach to your shipment. Generally, My Baggage shipments clear customs in a timely manner, free from duties and taxes, as most countries offer a generous duty-free allowance for personal effects. However, it should be noted that customs processes and allowances are different in each and every country, and because My Baggage has no control over any decisions made by any customs authority, we do advise doing your own personal research into Latvian customs regulations and quarantine before booking your shipment to Latvia. When shipping your belongings to Latvia with My Baggage, we recommend using either suitcases or strong cardboard boxes. Or, of course, you can use a mixture of both! We advise against using fragile or expensive suitcases, as they are not covered under our compensation cover. We also recommend that you tape over any handles, etc to protect them. With regards to boxes, it’s always best to invest in a new, sturdy, double-walled (or even triple-walled) cardboard box as they are most durable and suitable for transit. Booking with My Baggage couldn’t be easier. Thanks to our easy to use online booking system and convenient collection and delivery service, everything can be arranged from the comfort of your own home. Simply start by obtaining an instant quote straight from our homepage. We give you the flexibility to choose your preferred collection during the booking process. Once you’ve booked, we’ll send you some shipping labels to print and attach to your items. Then, we’ll take care of the rest. It’s one less thing to worry about! Thanks to our efficient online booking system and convenient door to door collection and delivery service, you have more time to enjoy your travel experience. As well, we pride ourselves on our fantastic low rates. In fact, you could save up to 80% when you choose to ship luggage with My Baggage, instead of going to the courier directly.